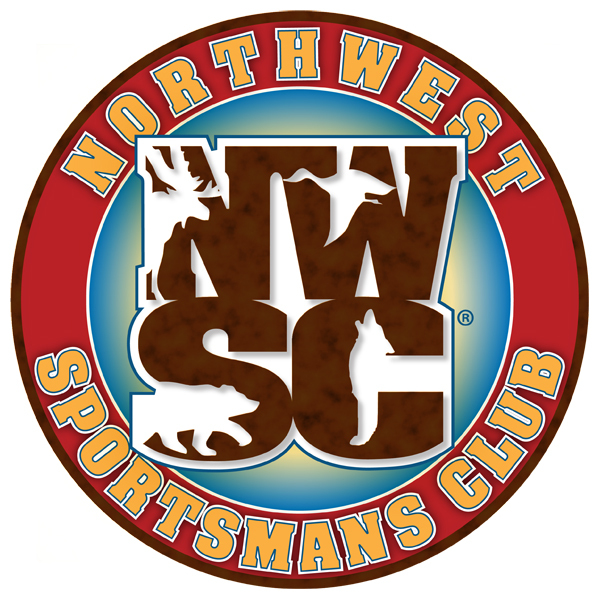 All of the NWSC sponsored classes are full for the year. For other classroom opportunities in the area- refer to the website below. 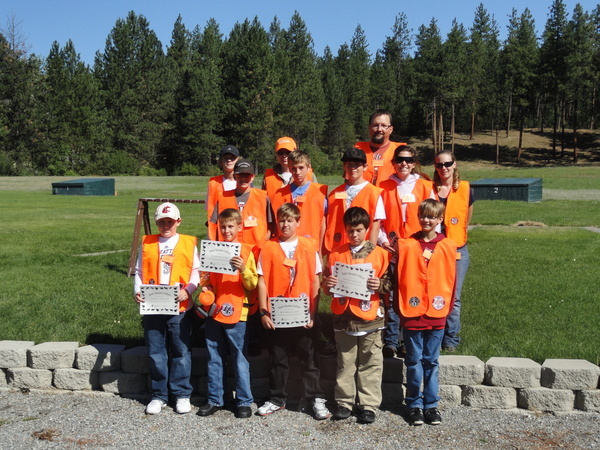 For schedules of other classes in the area check the WDFW website. As a reward to any of our students under the age of 18- there will be two drawings for Cabela's Gift Cards. There will be one $100.00 gift card and one $50.00 gift card from each class to Cabelas. After completing and passing the written and field course the drawing will be held. This is an incentive for our young students to pay attention, cooperate in class and participate in the oral aspect of the course. Our first winner was a young lady that received $100.00 gc from Cabelas. Our second winner was a young gentleman that received $50.00 gc from Cabelas. 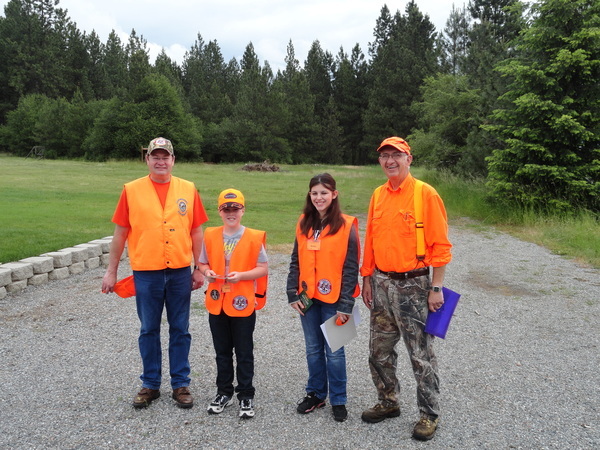 Pictured with Rick and Jim Parman, our WA State certified Hunter's Education Instructors. 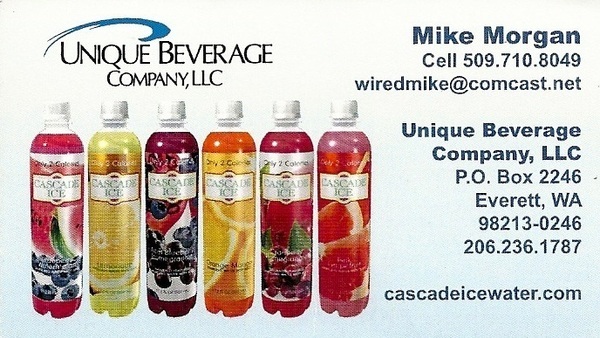 At the second class session ~ Our first winner was a young lady that received $50.00 gc from Cabelas. Our second winner was a young gentleman that received $100.00 gc from Cabelas. 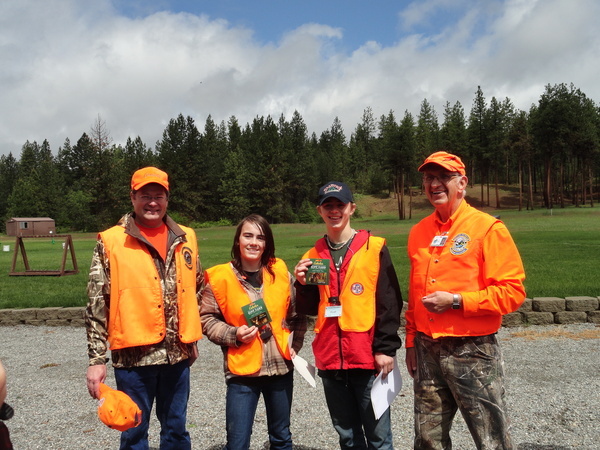 Pictured with Rick and Jim Parman, our WA State certified Hunter's Education Instructors. 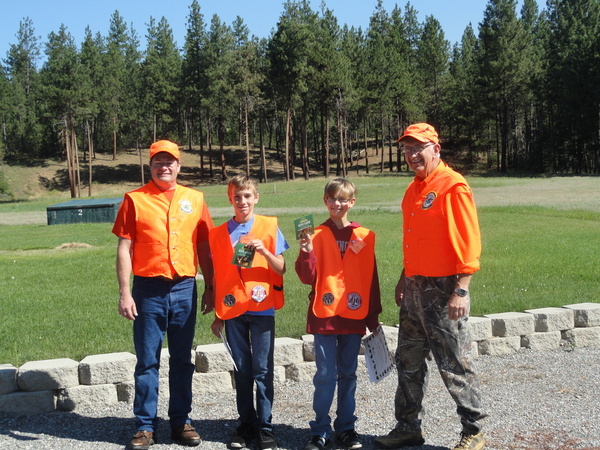 At the third class session~ both of our Cabelas gift card winners were young gentlemen. 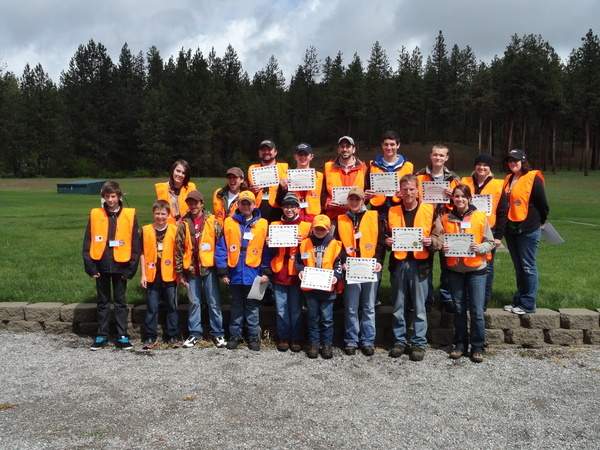 They are pictured with Rick and Jim Parman, our WA State certified Hunter's Education Instructors. 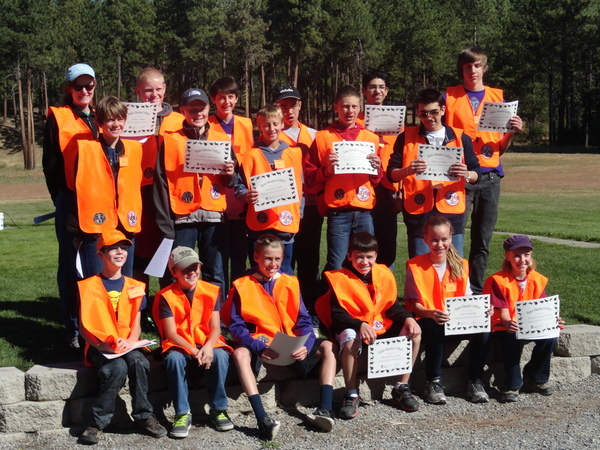 NWSC sponsors the Hunter Education classes. 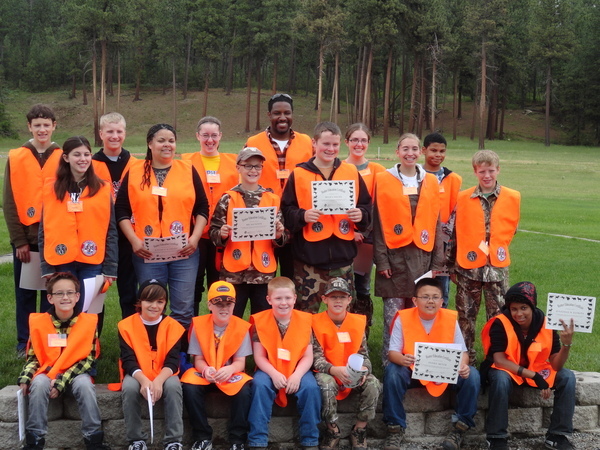 Financially supports this Hunters Education program. 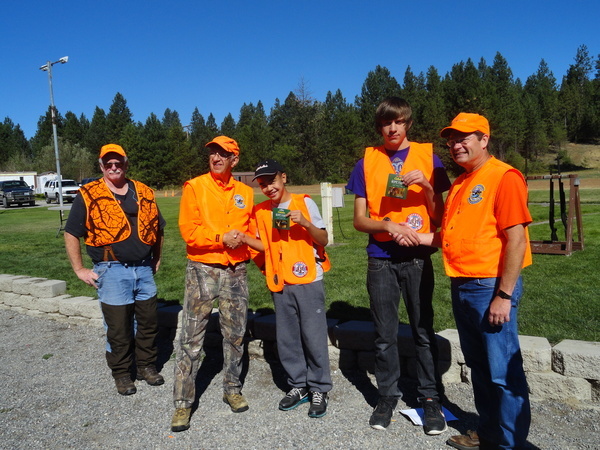 Volunteers from the NWSC offer their time to assist our NWSC members Rick and Jim Parman that are WA State Certified Instructors. These volunteers bring snacks for these sessions.